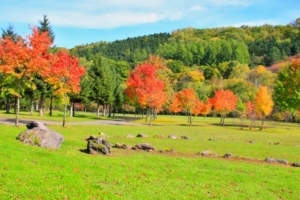 If you come to see autumn leaves in various places in Hokkaido, it is better to visit from middle October. Daisetsuzan is popular view spot but its peak is relatively earlier than other spots (Average peak is middle of September). It is two hours and a half from Shikotsu to Furano by a car. Furano is famous for huge and beautiful lavender garden. In autumn, you can not enjoy lavender, but still enjoy various of sports such as trekking, cycling, and so on. It is also used as a filming location. Daisetsuzan, or Mt. Daisetsu is said that its autumn leaves is earliest in Japan. In Autumn season, it decorates itself with graduation of red and yellow leaves. 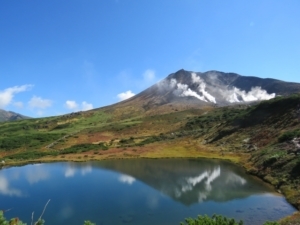 There is a ropeway offering panoramic mountain view (Autumn season: middle to late in September). You can drop at Biei, too. Souunkyo in Daisetuzan National Park, the largest national park in Japan, is a range of 100-200 meters high and extending some 24 kilometers along the Ishikari River. 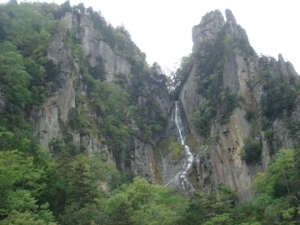 There are two waterfalls which are listed on “Japan's Top 100 Waterfalls”, called “Ginga no taki”, or “Galaxy Falls” and “Ryuusei no taki”, or “Shooting Star Falls”. Harmonize with autumn leaves, these waterfalls (Autumn season: early to middle in October). It is better to drop off you car at Asahikawa and get a train bounded for Sapporo with an hour and a half , and with 4290 yen. 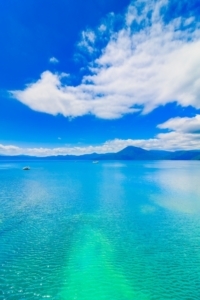 Noboribetsu Onsen, or hot spring is Hokkaido’s largest hot spring resort famous for its numerous hot springs of varying mineral contents. 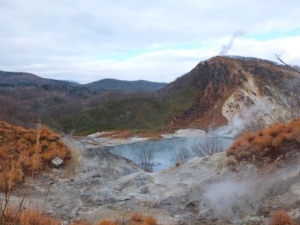 The largest source of hot spring is Jigokdani with a volcanic crater of 450 meters in diameter. After sunset, it lit up along the trail with mysterious atmosphere with sound blown out of gas and hot spring at night. Drop off your car at Airport.